Step # 1 – What is the 4 pics in 1 word game? 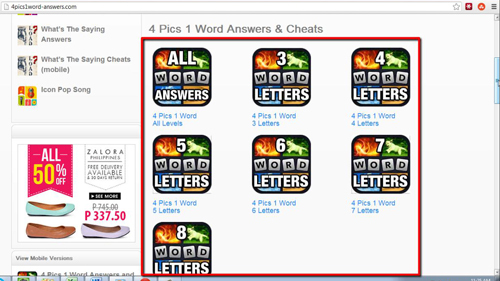 Not exactly a step in unlocking the answers, but first let’s explain what 4 pics 1 word is exactly. This is a smartphone game which shows the player 4 pictures that have a one word answer as to what they have in common with each other. This tool comes in handy when you get stuck on one of these you can’t quite figure out. 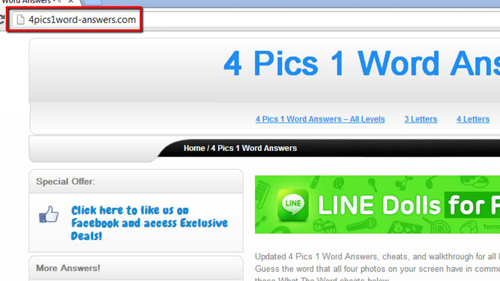 First, go to “http://4pics1word-answers.com/” in your browser. 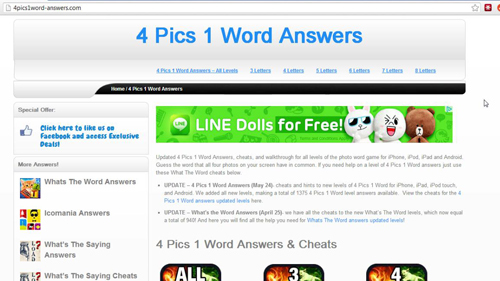 This is the website that contains answers to every question in 4 pics 1 word. The website is broken up into a few different categories for organizational purposes. First you have the option to view every single answer in the database. 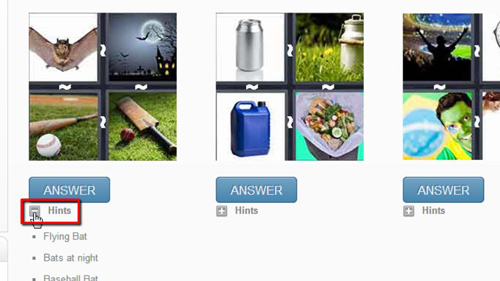 Other than that, you can choose from answers with only “3” letters, and this continues to answers with up to 8 letters. Go ahead and click on any category you’d like to look at. Scroll through the images until you find the puzzle that you’re working on. Once you’ve found it, you can either click “hints” to give you an idea of what the answer is, but not the exact answer. If you still want to unlock the complete answer, go ahead and click “Answer” and you‘ll be redirected to a page which displays the full answer to the puzzle. That’s all there is to it, you now know how to get answers to 4 pics in 1 word.